Delta faucet repair does not have to be an expensive or time consuming task. Instead of waiting around for a plumber and paying big bucks for the service call, consider doing the plumbing repairs yourself. Whether you are repairing a kitchen, lavatory, or shower faucet, a few basic tools and a bit of know how are all you need to get your faucet back in working order. To perform the plumbing repair, first determine the source of the problem. The vast majority of required faucet repairs are related to water leaks. This may be due to broken parts, worn out parts or incorrect installation. Once the problem is identified and the tools are gathered, replacement parts should be purchased. These are available at home improvement and plumbing supply stores nationwide. If you are unsure of what is wrong, then take apart the faucet before purchasing the replacement parts. This will require the water to be turned off until the parts are bought and the repairs are complete. It is advisable to perform the repairs during a time where the water will not be needed such as while children are in school or others family members are at work. Turn off the water coming into the faucet. Kitchen and lavatory water lines are directly under the sink. There should be a valve with a handle. Turn the handle then check to make sure it turned the water off completely by trying the faucet. Shower faucets do not have an inside shut-off valve so the water to the entire house will have to be turned off to perform shower faucet repairs. The main shut off valve is located outside and is usually in the front yard near the street. If you are unsure, contact the water company for location clarification. Lift the faucet handle to expose the screw underneath. Insert the Allen wrench and unscrew to remove the handle. Remove the cap assembly with the smooth jaw wrench. It is important to use only a smooth jaw wrench because normal wrenches have teeth that will scratch the faucet surface. Lift out the cam, cam washer and ball assembly and set aside. Use the pick to extract the seats and springs. This will expose the spout which then should be lifted out and also set aside. Remove the two O-rings by sliding the pick down the side of the spout and into the groove. If the O-rings are the source of the leak, they will most likely be cracked or damaged. Slide the new O-rings into the appropriate grooves using the pick. Take care not to nick the O-rings with the tip of the pick because nicks may cause weakness and leaks over time. Rub a pea-sized drop of stem lube around the O-rings to ensure the spout will move easily once the faucet is put back together. Put a bit on the inner part of the spout as well then sit the spout down over the stem. Insert the spring into place then follow with a seat. Do the same for the second spring and seat. Push down with your finger. Rub the ball with a small amount of stem lube then place inside the faucet. Repeat for the cam washer and cam and place inside the faucet. Top with the cap assembly and twist into place. Tighten until snug with the smooth jaw wrench. Reinstall the handle using the Allen wrench to tighten. Make sure the handle is in the "OFF" position then turn the water back on. 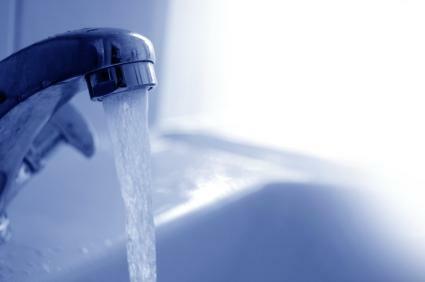 Test the faucet repair by turning the water on slowly to ensure the leak is gone. Delta faucet repair and maintenance should be performed periodically to ensure small leaks do not become major renovations. Replacing O-rings every two years should prevent costly repairs to the surrounding drywall.